Most fearsome of the dragon horde. He’s a killer of innocence. With no remorse for those he harms. The story of their brush with hell. He’s immune to a mortal’s sword. Slayer of men, Baan the Deathlord. ~Baan the Deathlord will make his return. Watch for upcoming posts in the “Mayhem Universe” category. Our superheroes will be joining forces soon. Their combined powers will draw attention and ire from Baan. 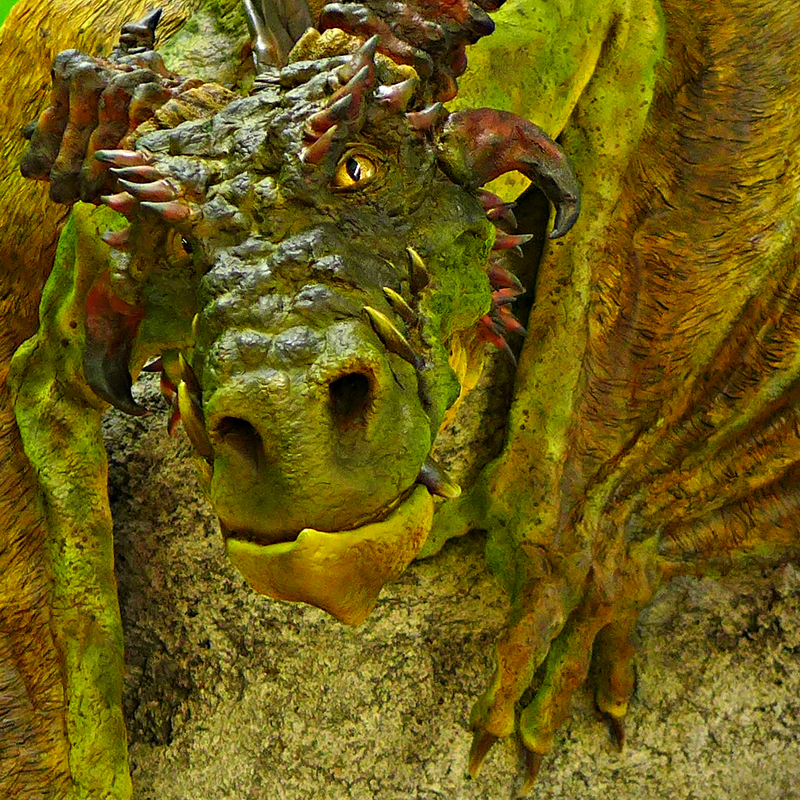 Photo Subject: Spike-Backed River Dragon by Arend Smith, a magnificent ArtPrize 2014 entry. Mayhem Universe’s Baan is a red dragon, so I sullied Mr. Smith’s masterpiece with a bit of photo editing. Here is his stunning creation in its intended color.